RAVENOL ARCTIC TRUCK 0W-30 is a special winter oil resistant to even the coldest temperatures. It consists of a unique mixture of synthetic polyalphaolefins (PAO) and mineral base oils designed to remain fluid at extremely low temperatures - as low as minus 40°C. 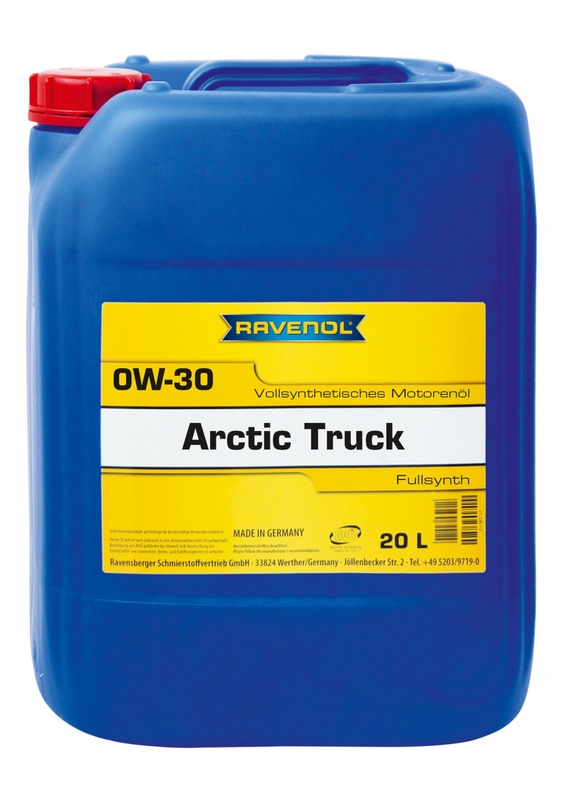 RAVENOL ARCTIC TRUCK 0W-30 is recommended for use in diesel engines, including turbo, and for 4-stroke petrol engines including those used for heavy duty work in stationary facilities. An excellent engine protection even when cold starting under extreme conditions. Excellent wear protection and maximum engine cleanliness.